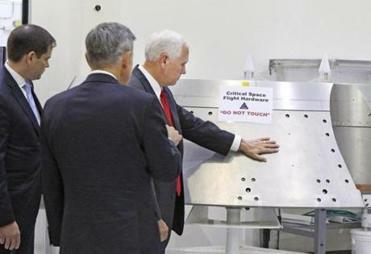 Vice President Mike Pence tours the space launch system at NASA’s Marshall Space Flight Center in Alabama in September. Donald Trump may not love science, but he certainly understands the physics of bold strokes and good publicity. Motives aside, his executive order reestablishing the National Space Council was a surprising, but welcome, sign in an administration stocked with climate deniers and neo-nativists. 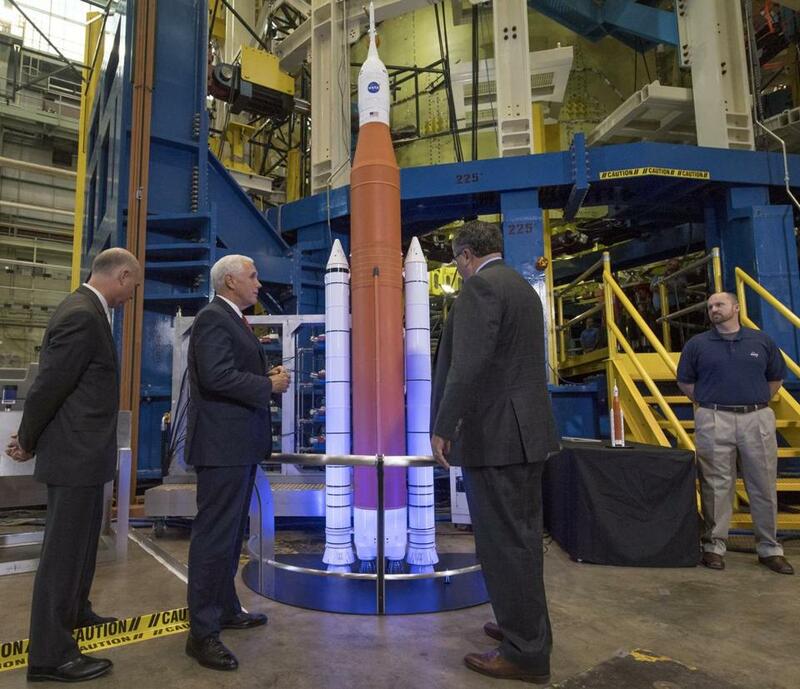 It’s also heartening that Vice President Mike Pence, the council chair, kicked off the first meeting by restating a bold promise: to return to the moon and eventually land on Mars. Past administrations knew that manned space exploration could fire the nation’s imagination — while adding rocket fuel to political agendas. In 1957, President Eisenhower saw opportunity when the Soviet Union launched the Sputnik satellite, because it established an important concept — the freedom of orbital space. President Kennedy basked in the reflective shine of heroes like astronaut John Glenn and called for the nation’s first moon shot. In a tweet, NASA came off remarkably relaxed about the whole thing. As early as 1961, Kennedy met Soviet leader Nikita Khrushchev and proposed that the two countries go to the moon together, according to NASA historian William Barry. In 1962, JFK wrote to Khrushchev proposing a number of joint space projects, including a possible manned flight to Mars. Collaboration with Russia now seems out of the question. But space exploration should be an international project, sharing both the costs and the glory. If the Trump administration is serious about Pence’s goal, it should eschew a new space race, with all its militaristic overtones, and propose a global program instead. For instance, the United States could propose that China, the world’s second-largest economy, join in a program to land astronauts on Mars. A joint mission could galvanize diplomatic relations with the aggressive regime of President Xi Jinping and, not coincidentally, establish a united front against North Korea. It would also promote scientific collaboration — not rivalry — for decades to come. Trump, enmeshed in a fresh Twitter war over Senator Bob Corker’s height, looks more diminished by the day. He only stands to benefit from looking skyward.